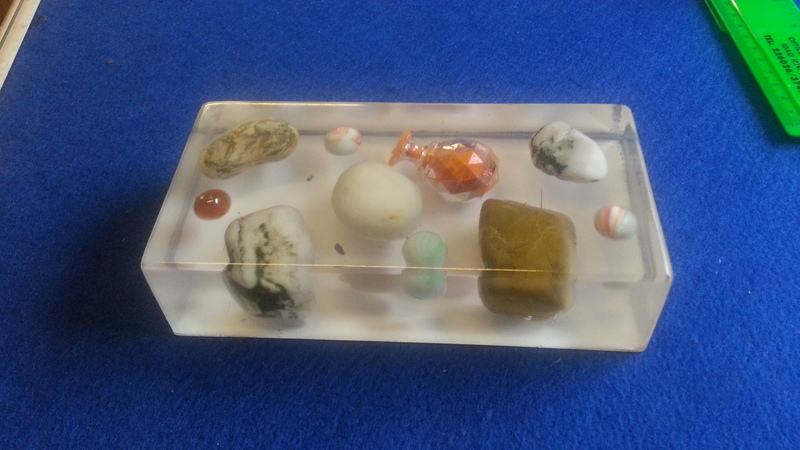 Resin casting, polyester clear casting, PU casting resin, epoxy clear casting, fastcast resin,embedding items in resin. Click the thumbnails to see the full size picture. 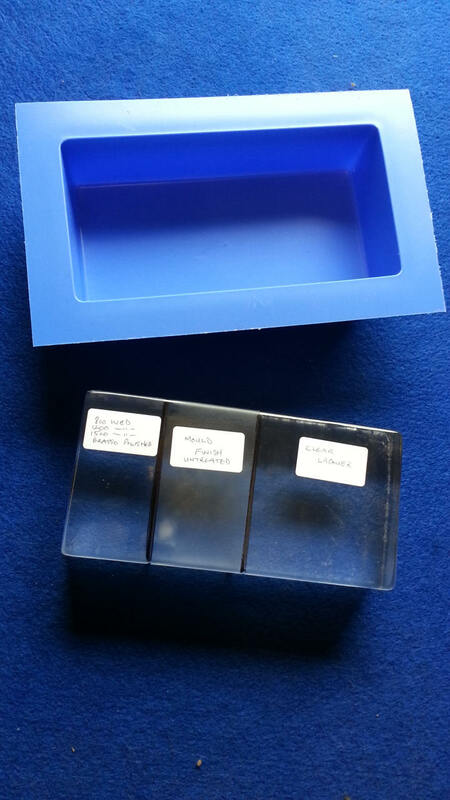 Our 180x90x40mm Polypropylene mould, ideal for embedding items and multi use using polyester or epoxy resins, the finished surface is slightly misty however as with most casting they require a little fettling to achieve the best results, on the left side is the sanded/polished surface achieved using 800/1200/1500 wet n dry followed by T cut or Brasso liquid polish, the centre is the finish direct from casting, the righthand side is sprayed using clear acrylic laquer. Another example of a casting using our large rectangle mould, the piece was finished using 800/1200/1500 wet n dry followed by Brasso liquid polish. 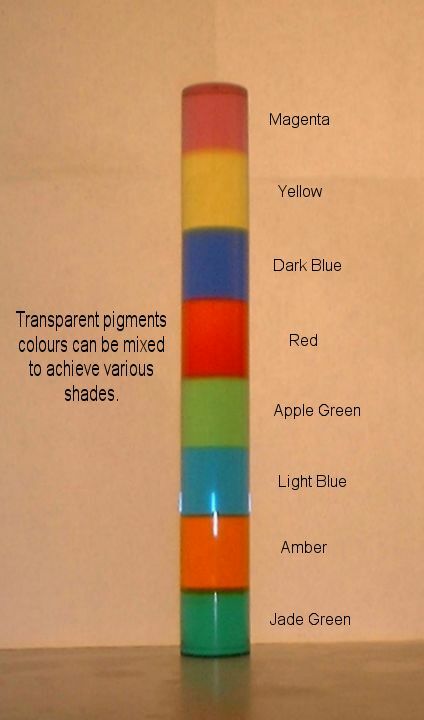 Transparent pigments can be added to glass clear casting resin up to approx 2%. Examples of metallic effects achievable adding metal powders at up to 3 parts to 1 part resin by weight. It is most economic to have only the outer surface of the cast object coated but be sure it is deep enough to allow burnishing and polish. This piece was cast from a latex mould using our general purpose resin filled with white dolomite powder, as you can see the replication of fine detail is achievable. 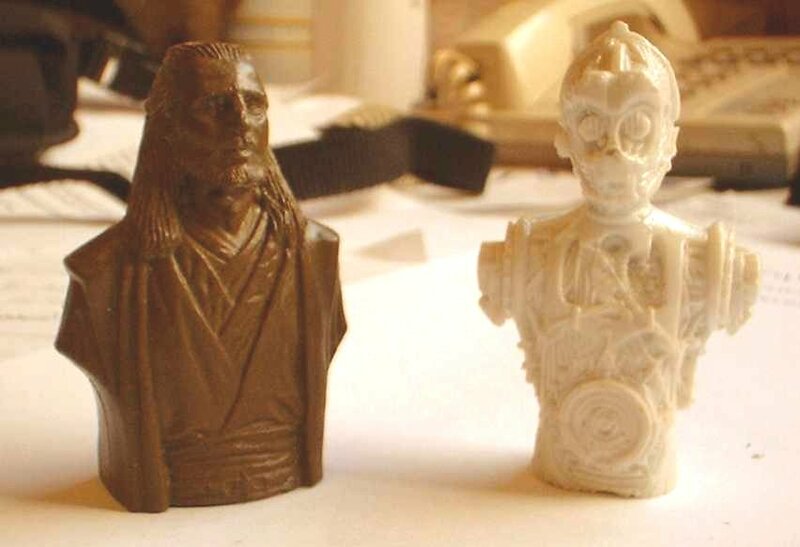 Two more charactors reproduced from latex moulds, the darker one was pigmented with opaque pigment, many people use this type of technique to produce chess pieces etc. 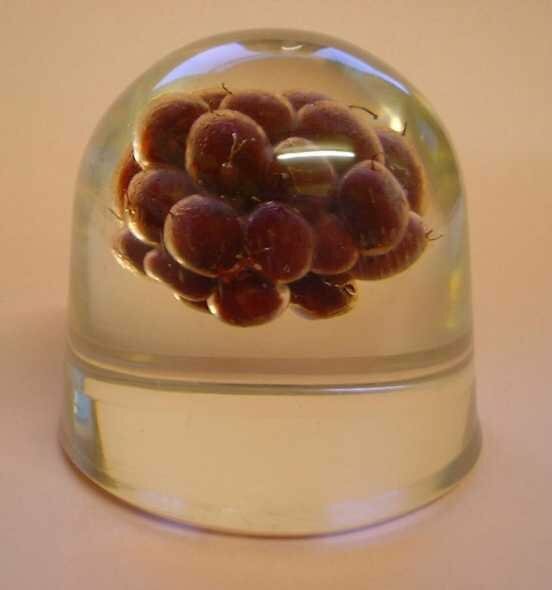 A raspberry embedded in clear casting resin, makes a nice paperweight. 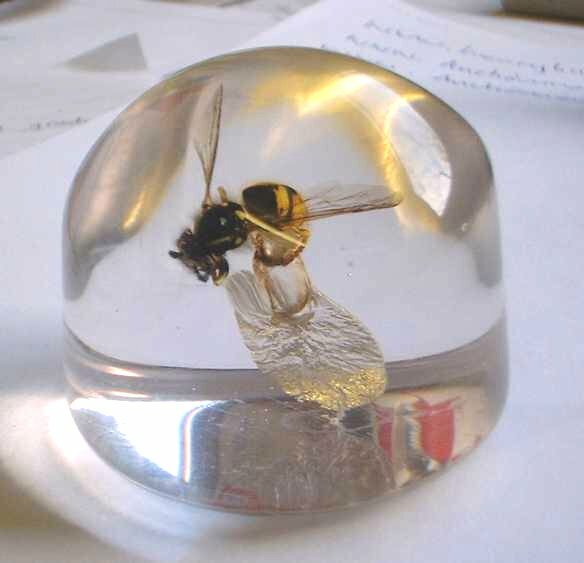 This was one of the first attempts at embedding using clear casting resin, as you can see a fault did appear during the curing process, this was due to air being trapped inside the wasp and escaping during the curing stage. However I kept the piece because the fault does give the impression of the wasp taking off from water. 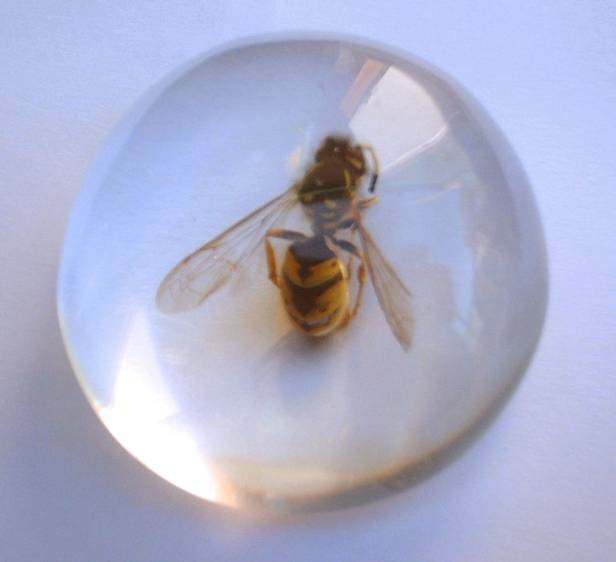 The second attempt at embedding a wasp, this time there were no faults. This is a replica copper statue standing 18" tall, achieved using a latex mould supported by fibreglass. Made from our general purpose resin filled with dolomite filler powder, then finished with copper powder filled resin to achieve that authentic copper statue appearance. A close-up pic of the head of the copper statue. 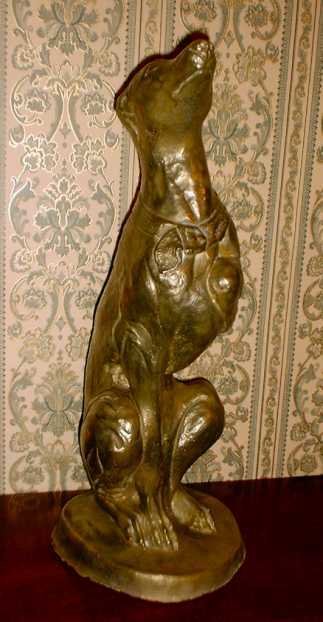 This is another replica of the whippet dog, produced from the same materials and techniques as the copper dog, the difference being this was finished using brass powder. 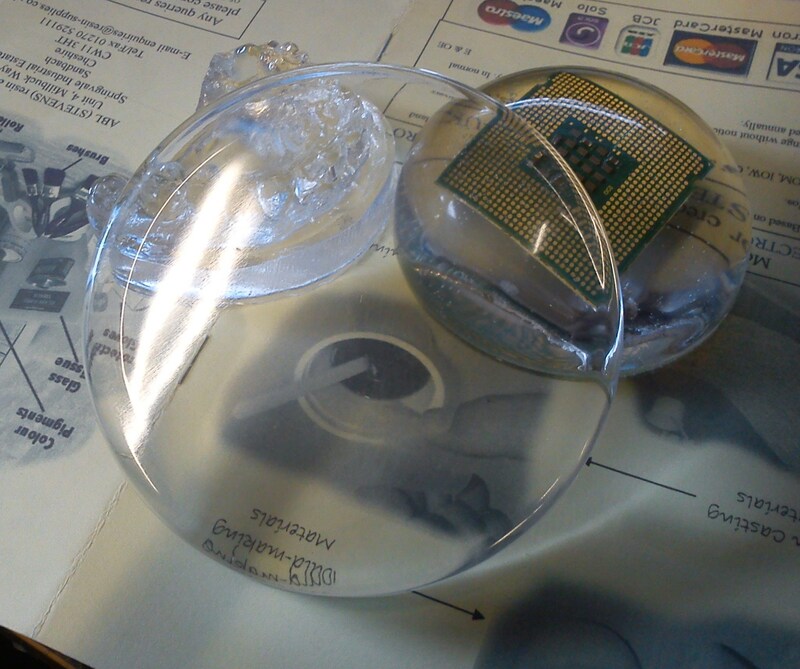 A coin embedded in clear casting resin. This small rabbit approx 1�" tall was cast from a latex mould using our figurine casting resin filled out with Microdol powder, then painted with acrylic paints. These two pieces stading approx 7" tall were cast from a silicone rubber mould, using our figurine casting resin filled with Microdol powder, They were then painted with an acrylic. 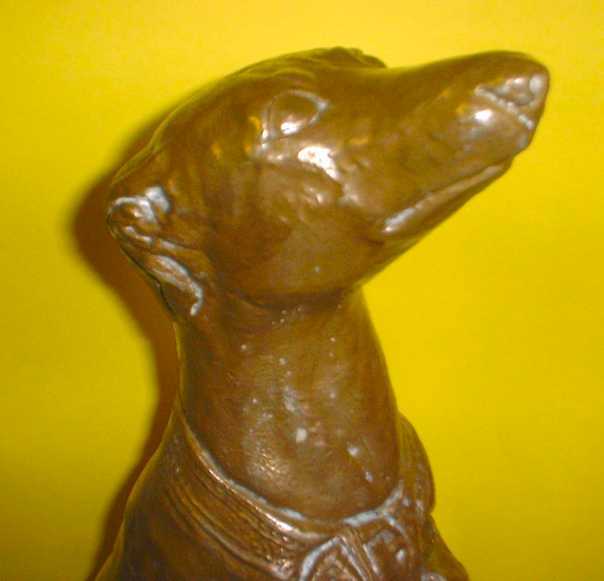 A greyhound standing approx 6" tall, cast using our figurine casting resin filled with microdol powder, the silicone mould was made from our own blend of silicone ideal for this type of casting reproducing fine detail time after time. These two figures were cast from the silicone mould using the same blend of resin and powders, then painted with acrylic. An example of the authentic look achieved with acrylic paints. 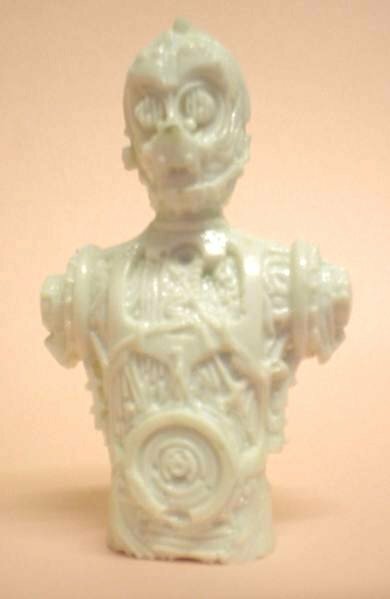 A figurine casting resin filled with microdol H400 powder cast from the RTV rubber mould. 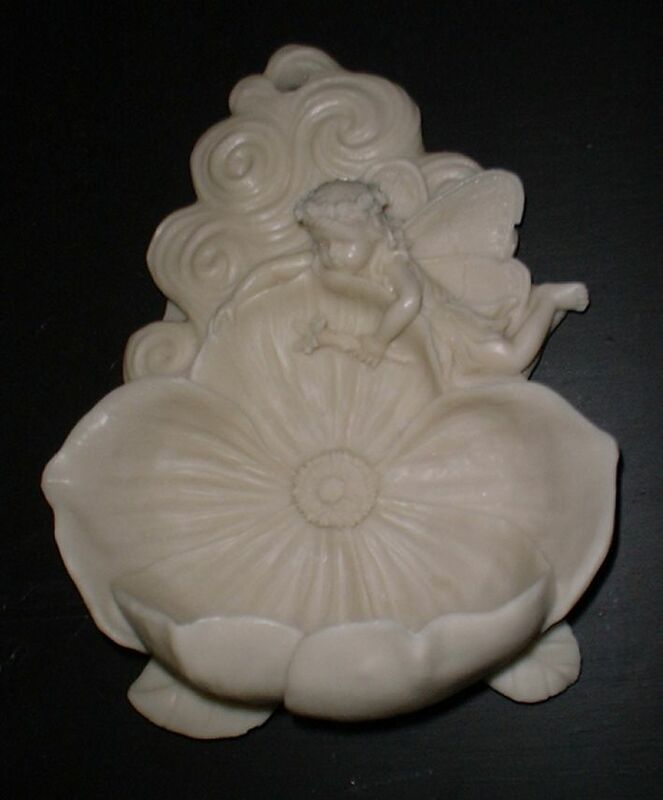 A quality mould made from butter-on type RTV, see the cherub bird bath casting. An example of the water clear clarity of our aquallusion resin, used extensively in the floral industry to simulate water in vases etc. 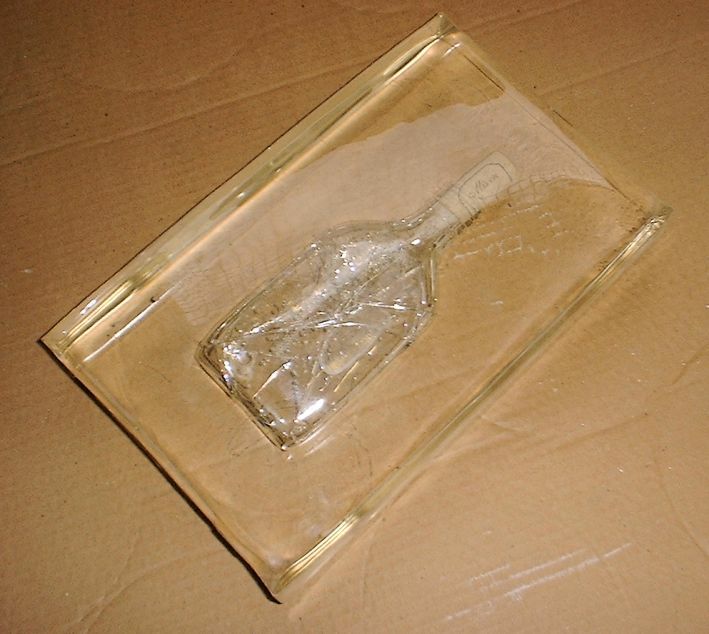 A glass whisky bottle embedded in clear epoxy rigid casting resin, as you can see the bottle was broken by the slight shrinkage of the resin during cure, to avoid glass breakage aquallusion resin can be used. Salmon pink bird eating spider. This is the skin that is shed during growing (a little like a snake) embedded in polyester clear casting resin, it was cured in approx 12 layers with minimal catalyst to ensure minimum heat build-up and air entrapment. 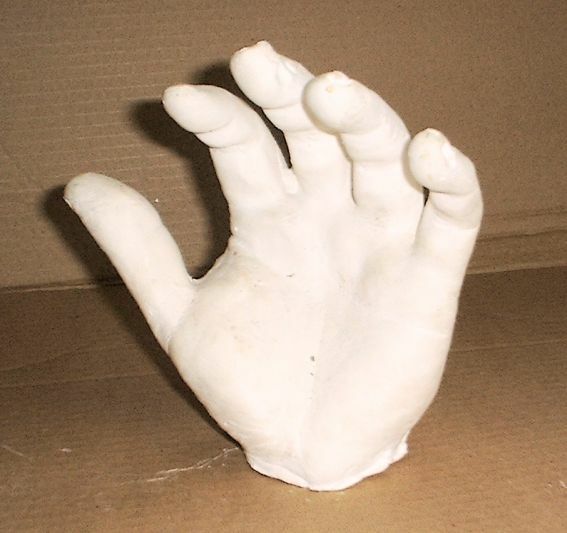 The plaster hand was cast from an alginate mould, an RTV silicone mould can then be taken from this to enable casting in resin/bronze, copper etc. 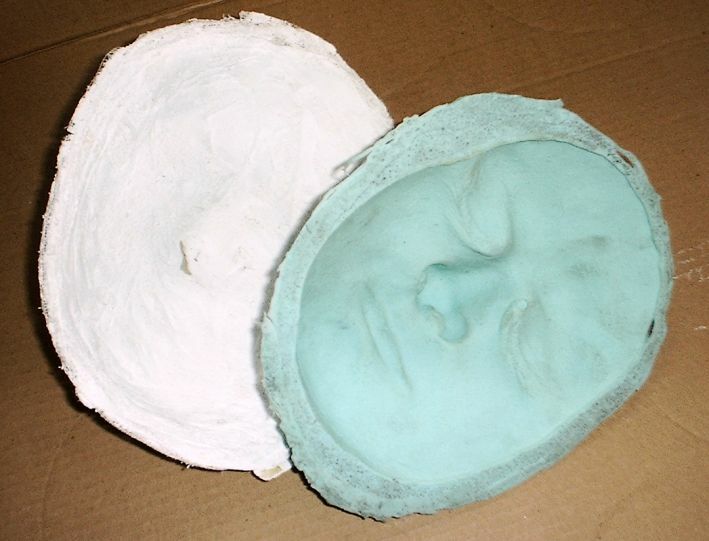 The plaster face was cast from an alginate mould soon after removal from the live model. RTV mould & plaster support jacket. 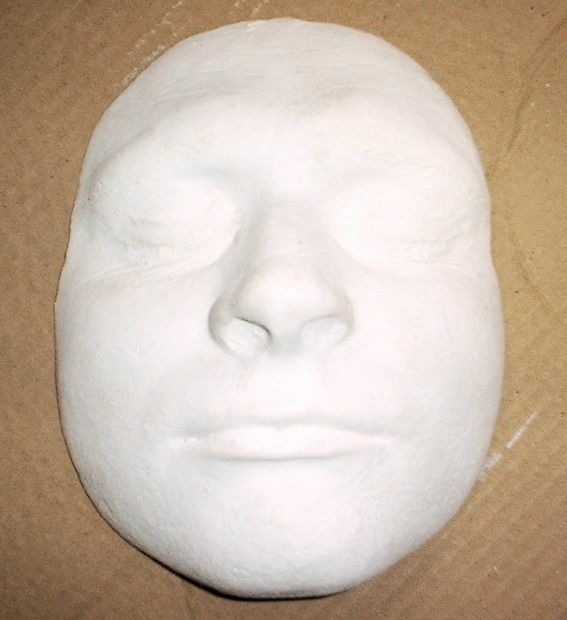 The RTV mould was taken from the plaster face casting and a support jacket made using plaster bandages. Sometimes the picture appears to indicate the RTV mould being a male when if fact it is a female mould (optical illusion). 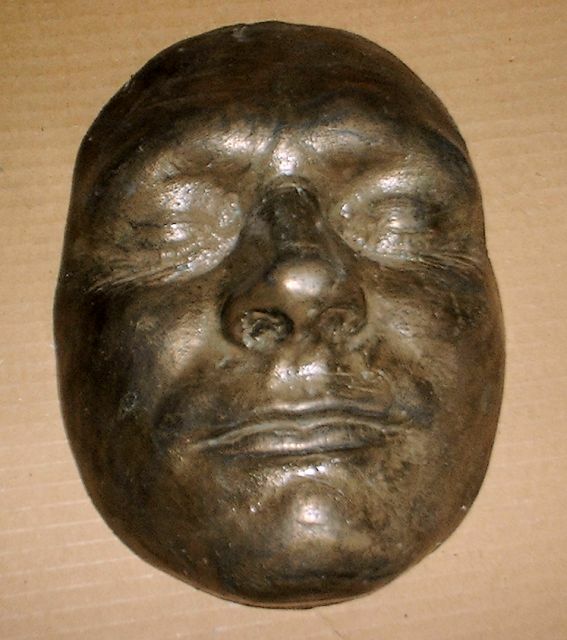 This cast was taken from the RTV face mould, using fiurine casting resin, Microdol filler powder, pigment and bronze metal powder. 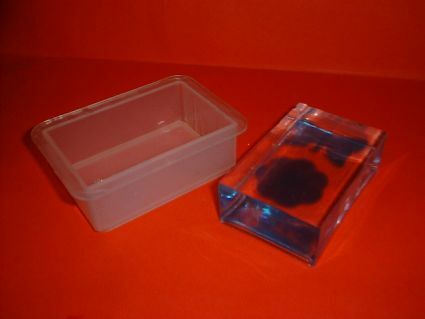 The paperweight shown was made in our 85 x 54 rectangle polypropylene mould using glass clear casting resin, one 6mm pour which is allowed to gel, the transparent blue butterfly & flower (cast from the Jewellery mould) are then inserted and the mould then filled with second batch of resin, alow to fully cure then simply pop out of mould. 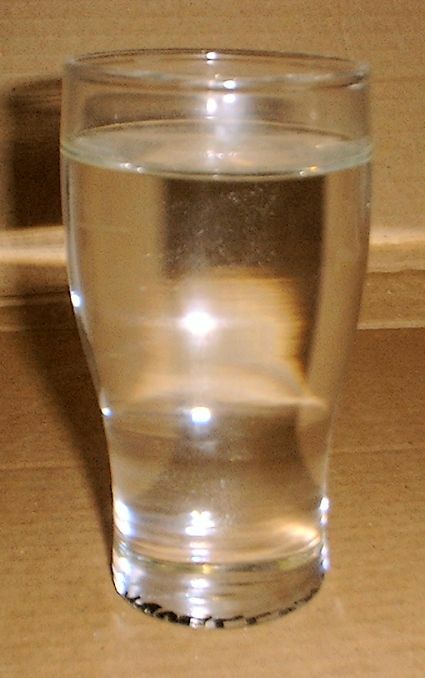 Example of the clarity of clear PU resin. 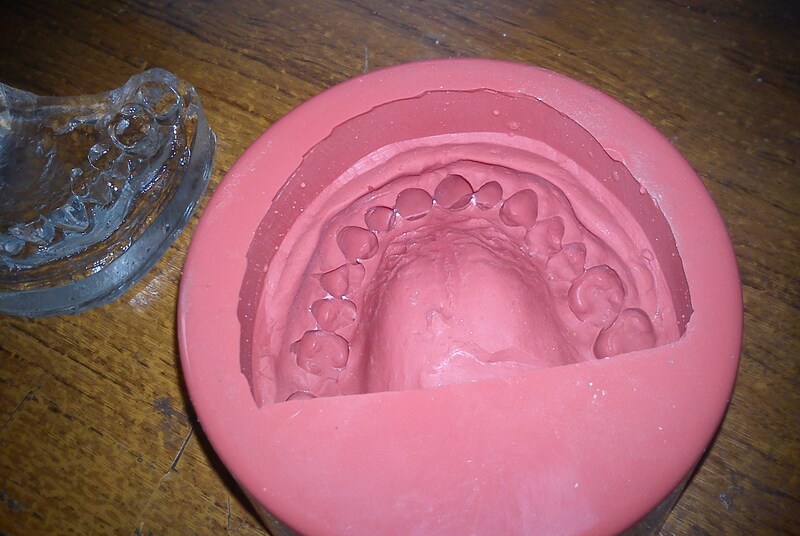 Casting using our water clear PU resin, cast from an addition cured silicone rubber mould, which is pictured next. 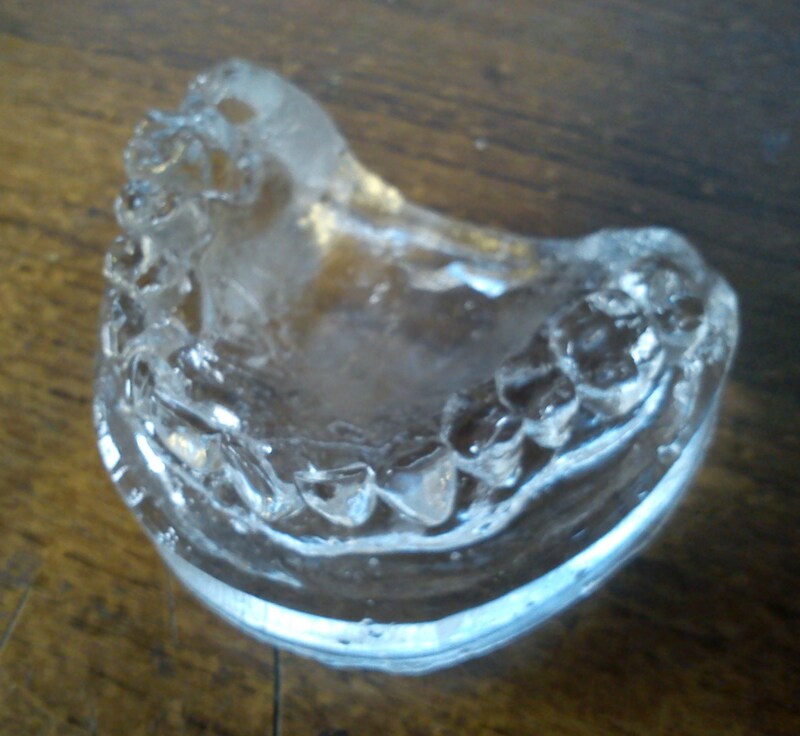 Example of addition cured silicone rubber mould, which is suitable for our clear PU casting resin. Doming resin added to the letter on the right. Another example of doming resin effect on a photo. 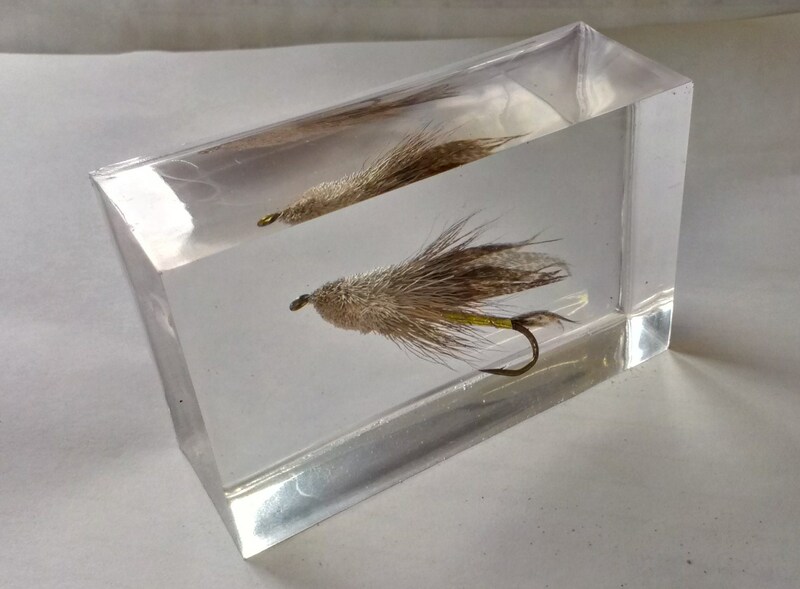 A fishing fly embedded in our Glass clear polyester resin using our rectangle polypropylene mould.